Welcome to Kotaku's official forum, known affectionately as Talk Amongst Yourselves. This is the place where we gather on a daily basis to discuss all things video game and existential. Want to talk about new games, old games, games that aren't even out yet? Knock yourselves out! Sure, we had a Portal-themed TAYpic already this month but maestro Evilpigskin is new here and we want to make him feel welcome. 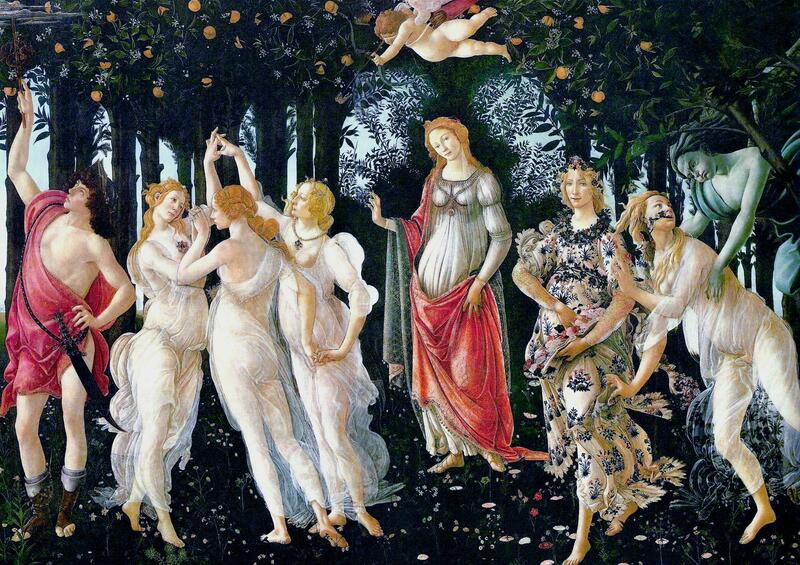 Besides, I quite like the way that the super-clean Aperture Science test chamber aesthetic meshes with vibrant, natural essence of the figures from Botticelli's "Spring" painting. Plus, it's funny. Uh, guys? Don't mean to bother you but we're running critically low on TAYpics. The needle is in the red. Think you can help? Here's what you do. Post your masterpieces in the #TAYpics thread. Don't forget to keep your image in a 16x9 ratio if you want a slice of Talk Amongst Yourselves glory. Grab the base image here. Don't forget to keep your image in a 16x9 ratio if you want a slice of TAY glory. The best ones will be featured in future installments of Talk Amongst Yourselves.